coparently is an online calendar and communication tool that provides parents with a simple way to organize and manage shared parenting. We built coparently because we passionately believe that children need and deserve to have a loving relationship with both parents, even if their parents aren't together anymore. We also get that it's a complete nightmare trying to coordinate busy family life from separate homes – even with the best co-parenting relationship in the world! Our mission is to give you the tools you need to successfully organize and manage your shared parenting arrangements while simultaneously putting the needs of your children first. We seek to understand any problems our users are facing and do everything we can to solve those problems. We are constantly upgrading our service and adding features you've requested. We are here to meet your needs and provide the most effective tools to support you in being the best co-parent you can be. We want to help parents to raise healthy, happy children after divorce or separation. We advocate for parents to co-parent the coparently way. To be coparently is to always focus on the best interests of your child: to never ask children to choose sides, to protect them from conflict and give them the chance to have a loving relationship with both parents. Regardless of the circumstances that led to your co-parenting situation, you're here and responsible for doing the best you can to make sure your children are raised in a healthy and stable environment. Relationships never really end when there are children involved and this can be daunting for some. The most important thought to keep in mind is that you are making this effort not for yourself, but for your child. So what is coparently parenting? It's a structured environment, a set of guidelines, and a way to collaborate with the other parent in your child's life to give your child the home and childhood that they deserve. Studies show that successful co-parenting results in a number of benefits for the children involved. Often children believe that they did something wrong when their parents separate and that it's somehow their fault. By presenting a united front for your children, they are not left wondering what they did or why one parent doesn't love them enough to be involved in their life anymore. In a successful co-parenting relationship, the parent who has moved is still a very large part of the child's life, the parents still have a relationship for the sake of the child, and the child knows that either of the parents will be there in a heartbeat if needed. Other benefits for children include greater feelings of stability, less pressure to meet the emotional and social needs of their parents, a stronger bond with each parent, and minimal feelings of being torn between the two parents. There are a few guidelines and tips coparently suggests to help co-parents start on the right foot. Treat each other with professionalism: When in doubt, pretend as if you're dealing with someone from work. Discuss only the business at hand (your child) and anytime you catch yourself getting upset, bite your tongue. You manage to deal with people you don't like every day at work and you do so without raising your voice. Use the skills you've so expertly honed over the years to make this work. When in doubt, type it out: If you're not sure whether you can keep your cool after your co-parent has done something you don't agree with, don't risk talking to them in person. Your wounds are still open and your teeth are still bared, so type out your message -- then read it objectively. Take a breather when you feel yourself getting worked up and resume only when you can do so with a level head. It is NEVER okay to fight in front of your child: Of course it's perfectly natural to have a minor disagreement, and it may even be beneficial for your child to witness how you and your co-parent resolve said disagreements. However, it is never okay to fight in front of your child. The last thing your child needs is to stress out about your relationship. They already have enough to cope with. Parents should agree to discuss heated matters at a suitable time away from the children. These guidelines aren't designed to make your life easier. They're proven ways to ensure your child adapts positively to your separation and can improve their overall long-term emotional well-being. Now that you have decided to do everything in your power to provide a loving and stable environment for your child, it's time to discuss a few more requirements of successful co-parenting and valuable tools that are available to help you manage the hectic life of a child with separated parents. Become a united front: It won't work well for anyone if at your house you demand an early bed-time, required chores, and limited time with electronics while at your co-parent's house your child is showered with toys, candy, and a party-like atmosphere. Children need to expect the same discipline, treats, and general lifestyle from each parent. The key here is to work together to arrange a parenting style that is best for your child – and that you can both agree on. That takes maturity and responsibility. Communicate about everything: Your co-parent has the right to know what goes on in your child's life while they're not there. Get in the habit of sharing anything that can be deemed significant with your co-parent. coparently has a dedicated communication tool that is great for updates, achievements, and anything that needs to be shared. With this dedicated tool, parents won't lose communication under a pile of other emails or accidentally miss an important message. Stay on top of schedules: It's every child's nightmare to be forgotten at school or other event due to a scheduling mix-up between parents. coparently's custody calendar is a convenient way to manage a child's schedule. A color-coded calendar indicates which parent is responsible for each activity and when transitions are to take place. Money management: Shared expenses can often cause friction between co-parents. With coparently's expense tracker, parents can manage shared expenses and to stay up to date on the financial obligations for the child. coparently shows each expense, who paid for it, the date it took place, and how much the other parent owes for each transaction with a running total for each parent. Yes, co-parenting is far from easy. But you're not doing it for yourself. You do it for the child you vowed to love, nurture, protect, and develop into a healthy adult. It can be difficult to establish strict and business-like guidelines regarding the future upbringing of your children, but by being professional – and taking it one step at a time – you will find that putting your children first will create much more happiness for each of you throughout the years to come. The benefits of co-parenting are priceless; children have a much healthier relationship with each parent and remain un-plagued by the stress of arguments, separation, and having to choose sides. 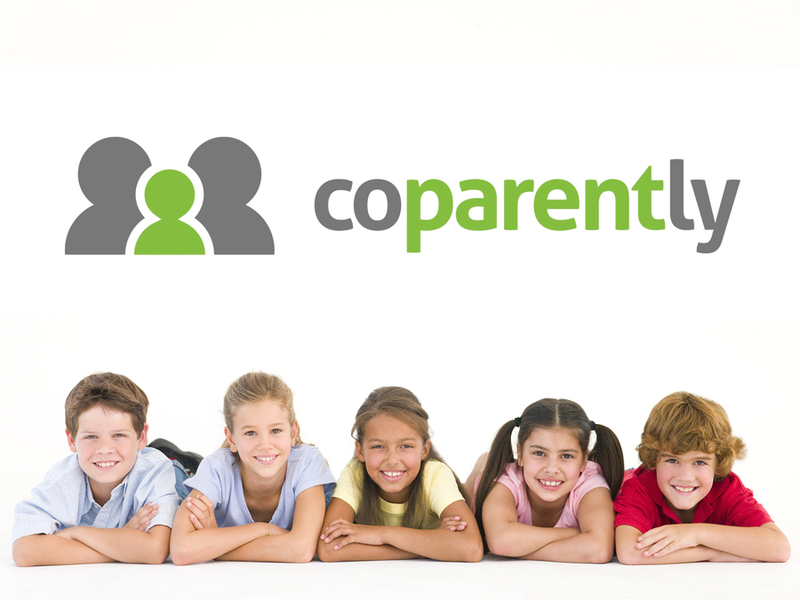 To help with the hectic schedules, communication, decision making, and finances of co-parenting, coparently has developed tools designed to create a child-centric and professional relationship between parents, so that the children involved get the attention, love, and support that they deserve.